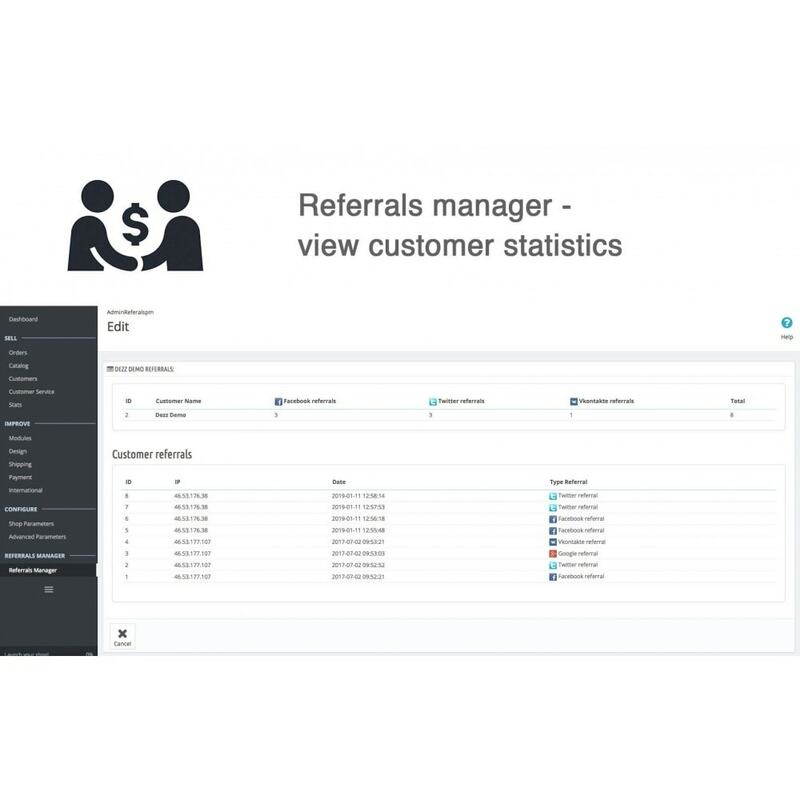 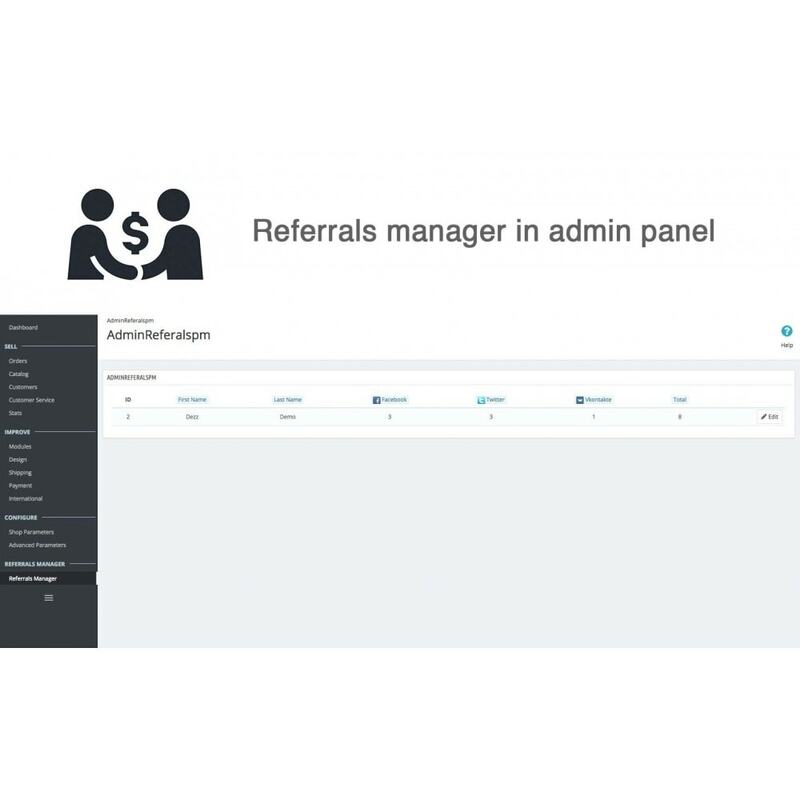 Prestashop Social Referrals module would be a cost effective and easiest way to make your website add more value to your business and get a wide audience exposure. 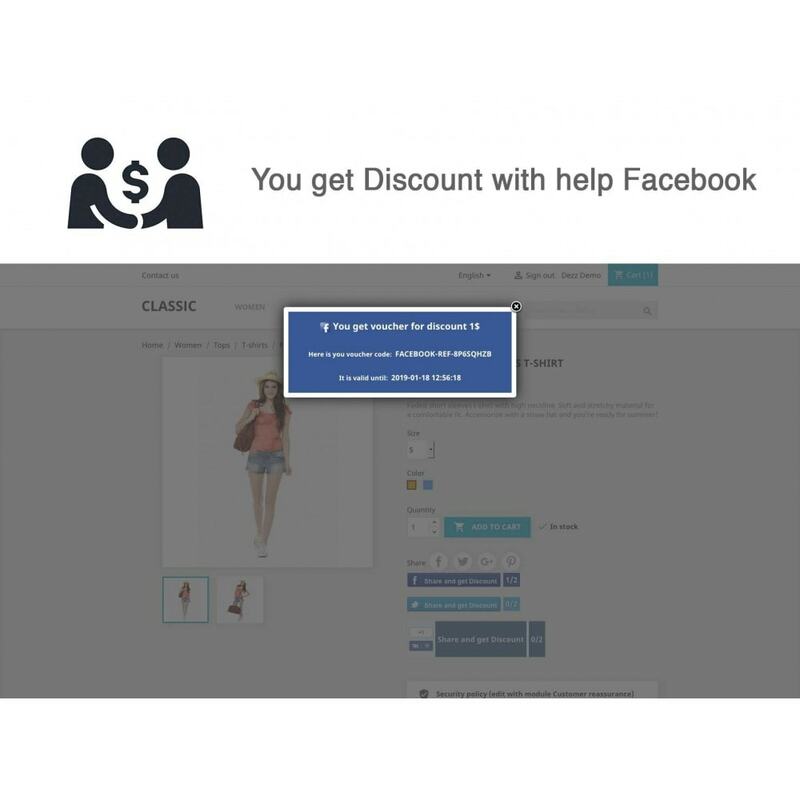 When a customer recommends a product, the product details like product image, short description and name will appear on the customer facebook wall, customer twitter page, vkontakte. 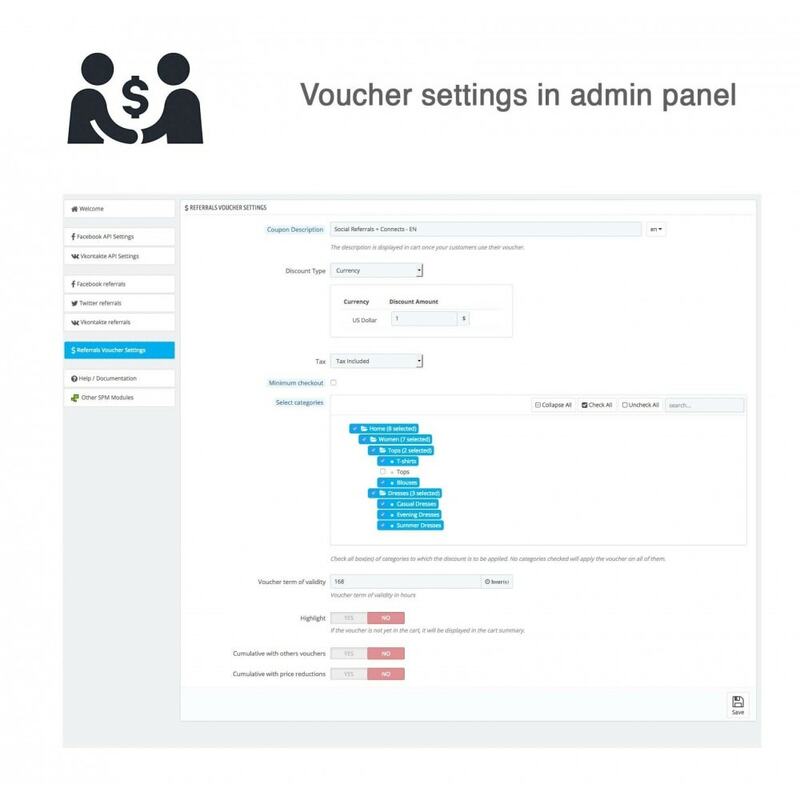 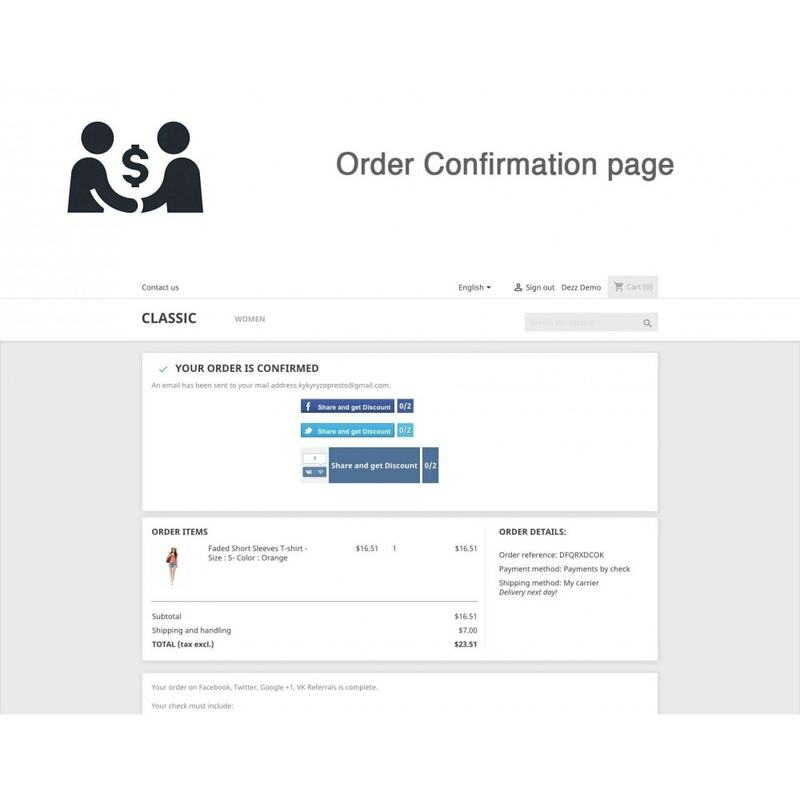 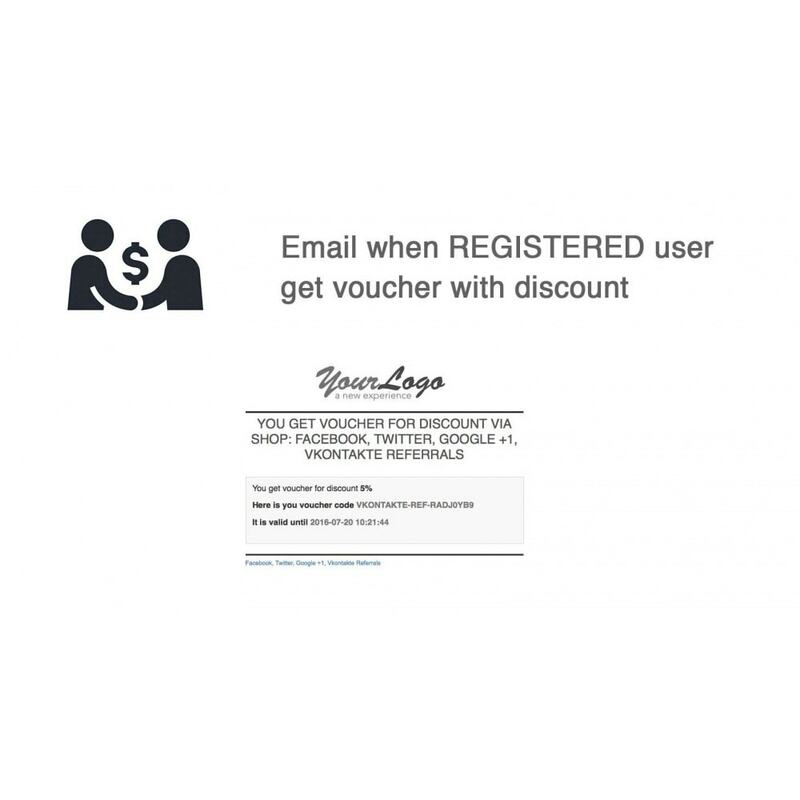 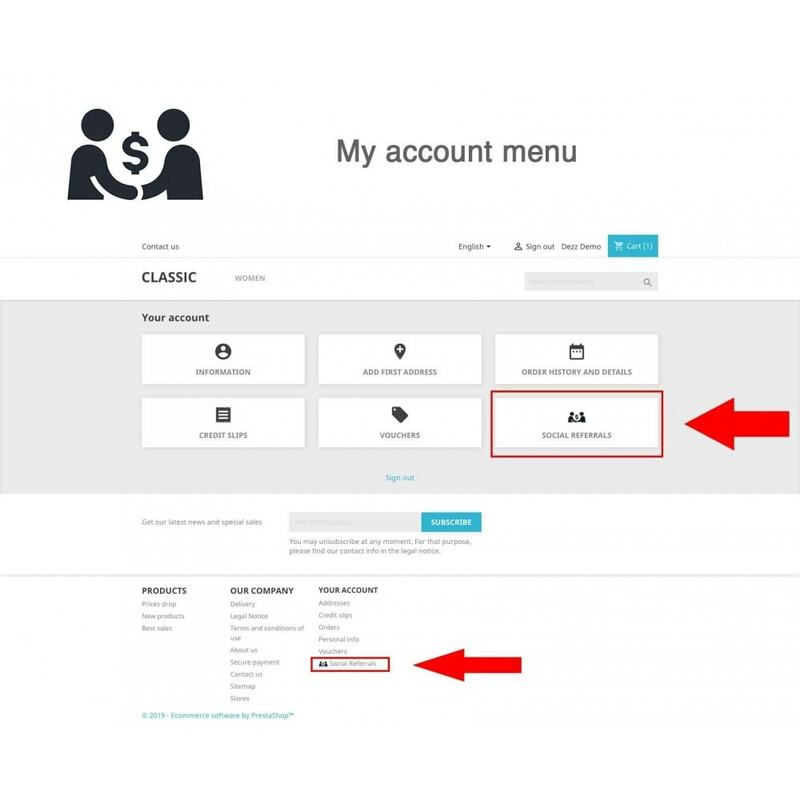 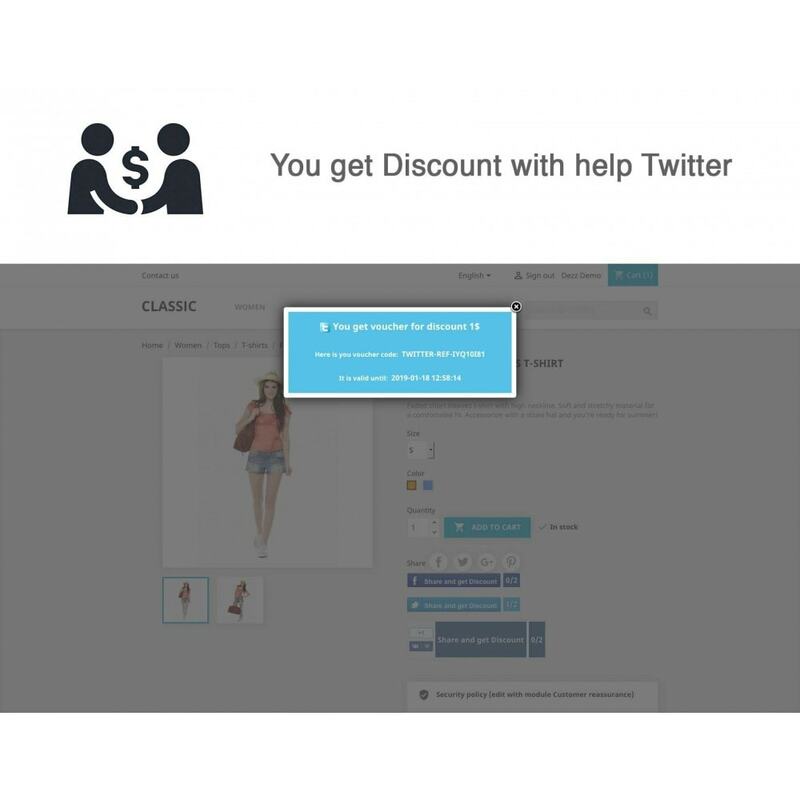 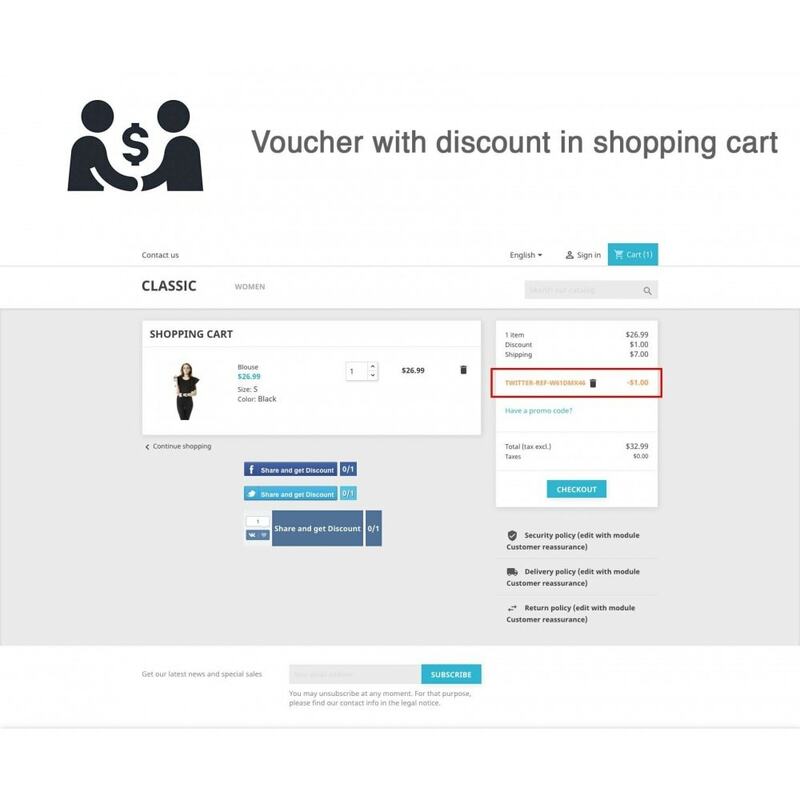 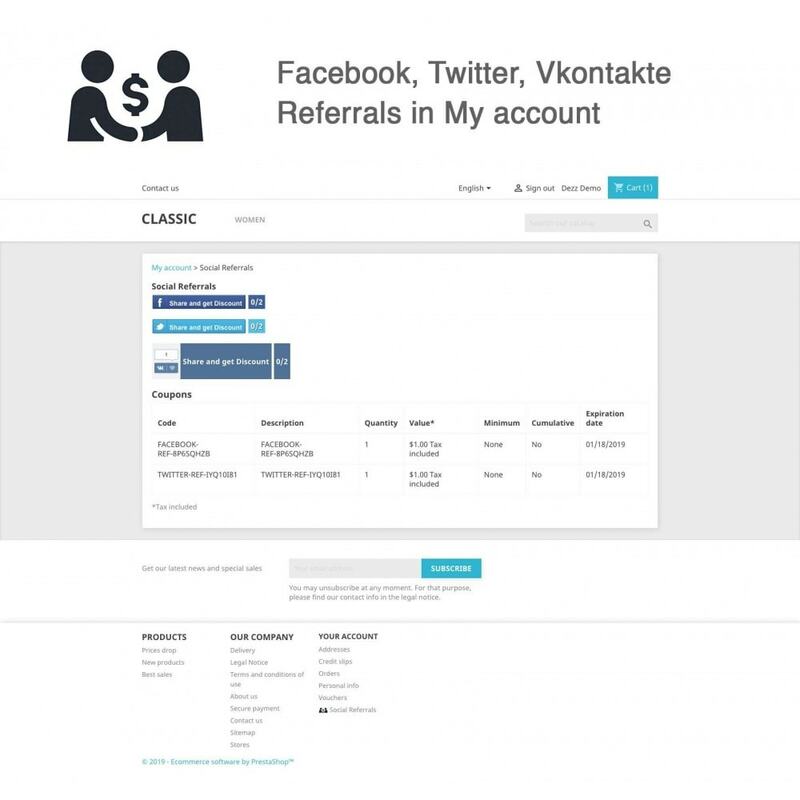 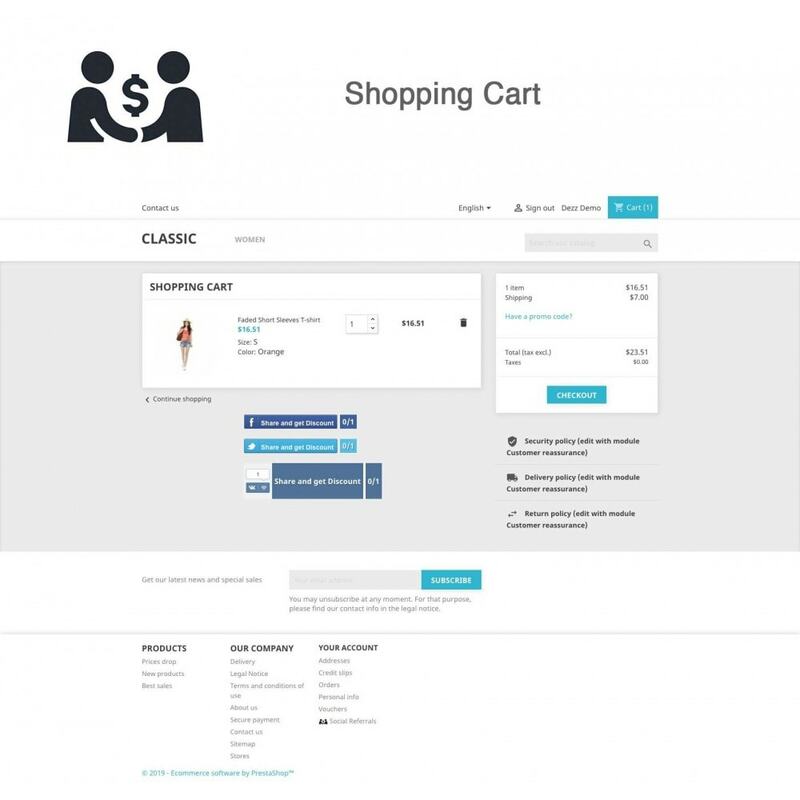 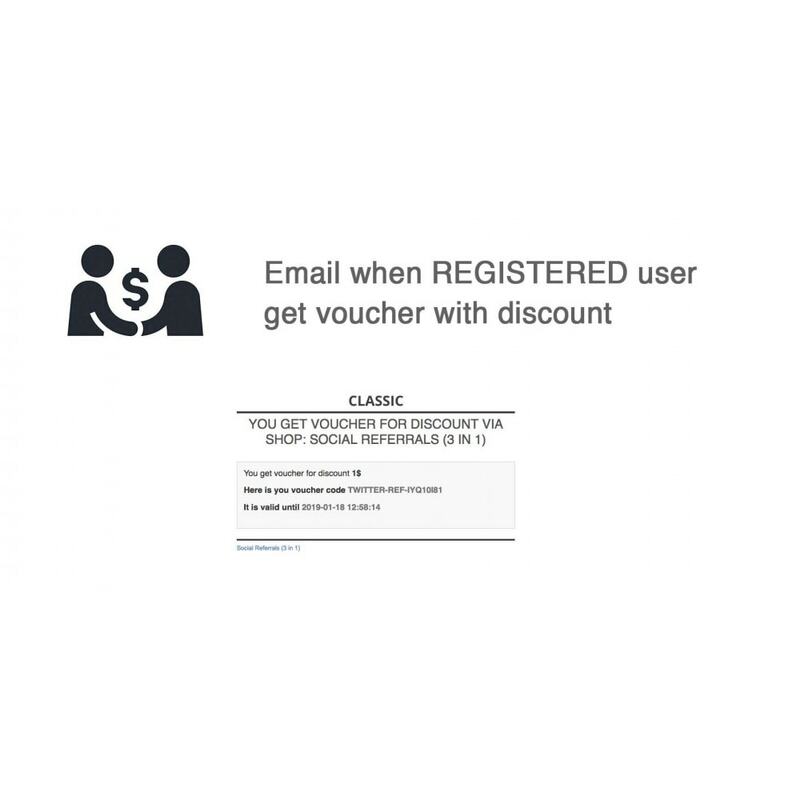 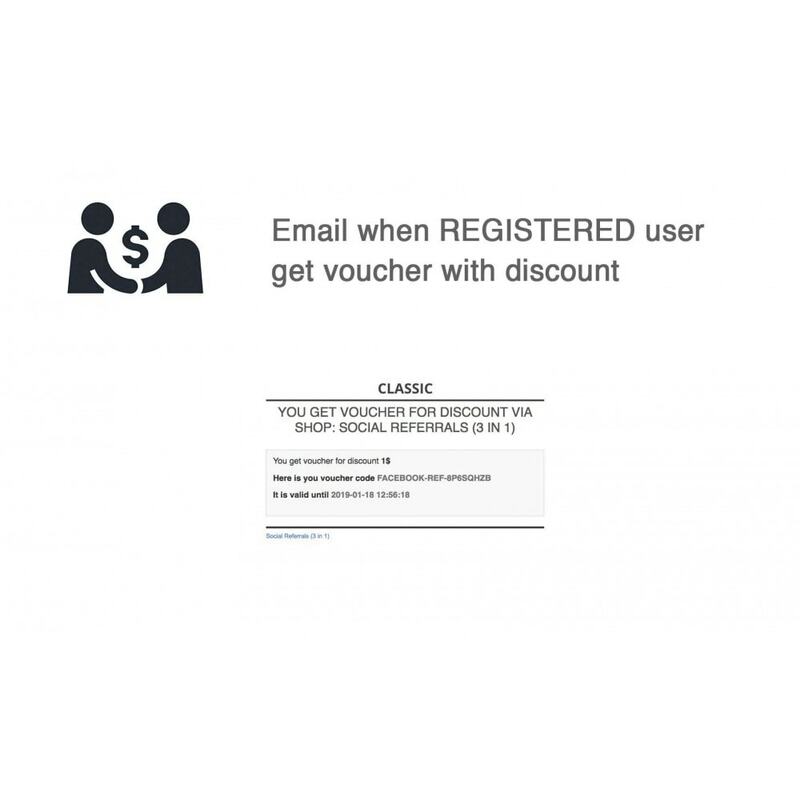 The most important feature of this addon is an possibility to create voucher codes for your customers who share links to your products on their Facebook, Twitter, Vkontakte pages. 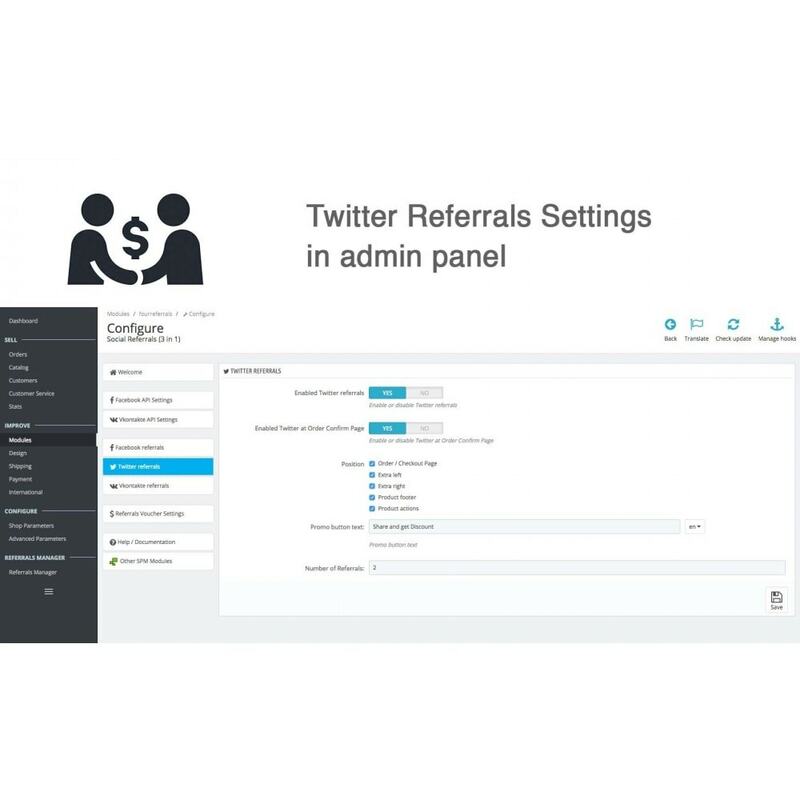 Go to Admin section, select the Social Referrals (3 in 1) in Social Network Modules and click Install to install the module. To configure the module Social Referrals (3 in 1) read Installation_Guide.pdf ,which is located in the folder with the module.